I find it amazing how the creamery industry has grown over the years. With the competition tightening and the market narrowing, it's a bit hard to think of a winning strategy that's unique enough to create a huge impact in the market. This is what I admire about Dojo Dairy. 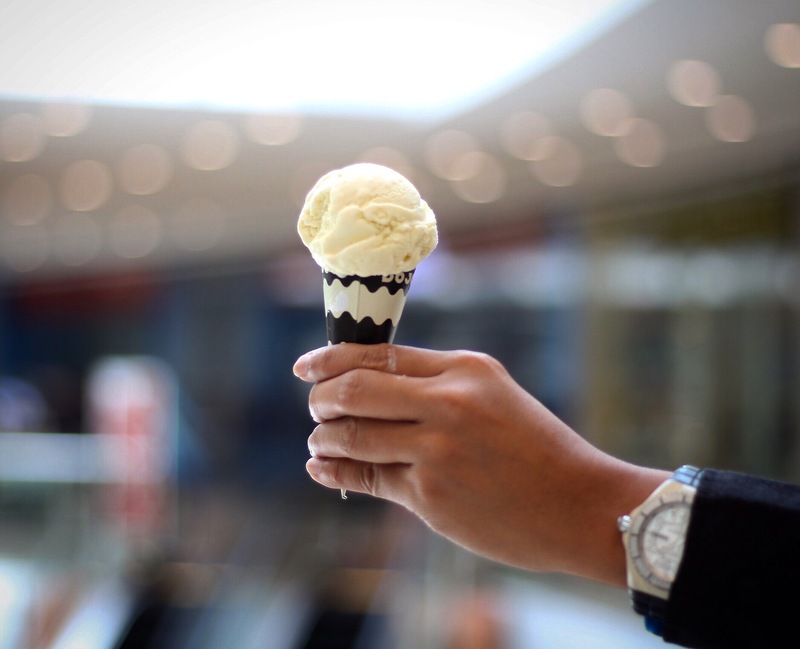 They may seem like your ordinary ice cream store, but once you give it a shot you'll realize how they tweaked their products to match their brand. It's simple, everything they offer is uniquely (and weirdly) Japanese. From the nori to the wasabi and sake flavors, you can't help but have that big question mark in your head saying "Does this work?" Me and my friend shared a cone of their wasabi flavor (his choice). I'm no wasabi fan, so of course I didn't appreciate it. But I still find it cool that they were able to incorporate the wasabi, something with a kick, to a cold and creamy dessert, without sacrificing the taste of their main ingredient. Yes, the strong, distinct taste and even the mild spiciness of the wasabi was there, but also was the creaminess of the ice cream. I got to try their sake and nori flavors as well. The nori was my favorite, although it didn't really taste like nori. It was sweeter and creamier, it's as if it has cheese. The liquor in the sake flavor, on the other hand, was very powerful. I'm looking forward to my next visit to Dojo Dairy. Which flavor should I have then?